Plugin marks admin by adding on his head special helmet or beret. Size of model is less than 60kb, so player don't have to extra download whole admin model (size: 2Mb) like in other plugins such as KaOs' "Admin Models", but download small model in 1 sec. Unfortunately helmets and berets looking good if client is using standard models. 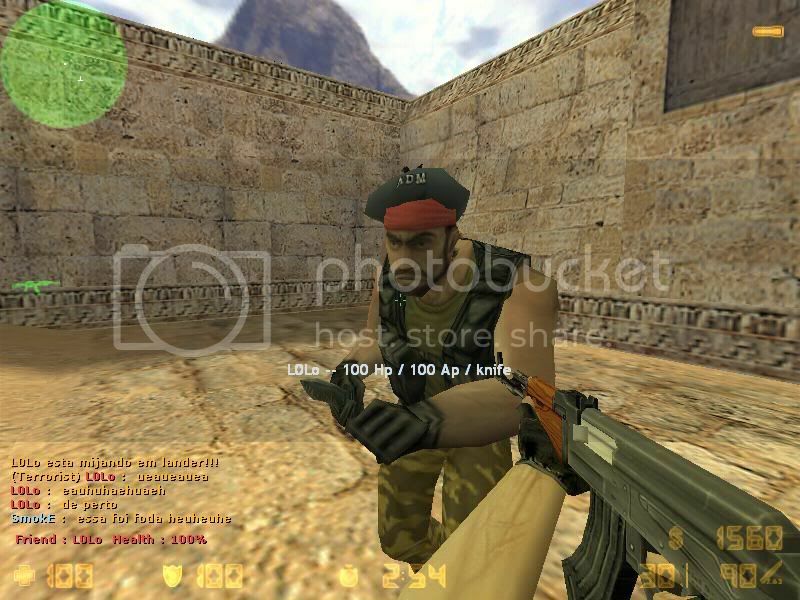 If client have custom models it may not look good..
Last edited by kaloszyfer; 07-31-2007 at 08:50. Reason: update to 1.2..
Nice really like this one! Why?! You don't like it? You mean that I should change "ADM" to "ADMIN" on berets or what? And I think beret for terrorist is better than helmet and colors must be distinctive, that everyone know this is admin. Last edited by kaloszyfer; 06-20-2007 at 17:15. But here's the big problem: Doesn't matter which model or team I choose, the helmet is always the same... even for TRs! hmm, that's weird.. Maybe try enable engine module..
Last edited by kaloszyfer; 06-21-2007 at 12:21.
i like this b/c you DL helmets and berets instead of like Admin Model were the whole model is replaced so GJ! but i think the Helmets could use a little work.... but if i had a server i would use this. When I got some time, I'll uninstall the plugin and try a clean install..
Last edited by Arion; 06-22-2007 at 12:56.